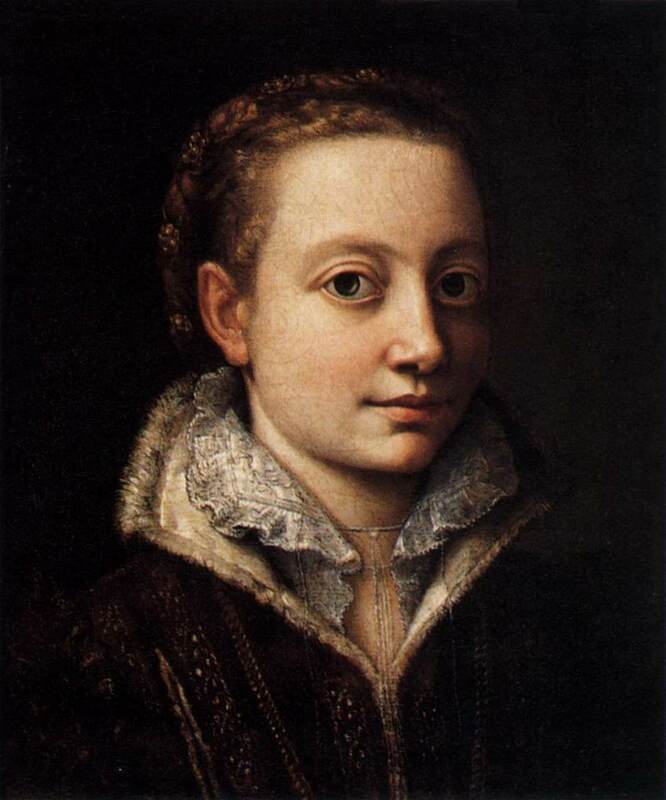 Sofonisba Anguissola (Cremona a. 1531 – Palermo 1625) is quite a unique case in the European art history. She is one of the very few women artists in the Renaissance and post-Renaissance period and surely the only one belonging to an aristocratic family. This condition may have helped her to achieve the considerable fame she has enjoyed in her days, but probably has also contributed to the nearly total oblivion that has covered her name for centuries. Due to her noble origin, she could not sell her works, that were only offered as a gift, nor she could exercise in the anatomy and in the study of naked subjects. This was not allowed to women and especially to a noble woman. Her work is restricted nearly exclusively to the portrait and many of her works have been lost or attributed to other artists, because of the lack of commission contracts. Only in the last two decades, with several serious studies and the exhibition of 1994, in her hometown, Cremona, that brought together 71 of her works from all over the world, the attention has come back to this artist, who was able to bring a new naturalness in the art of portrait anticipating some environments typical of the XIX century. 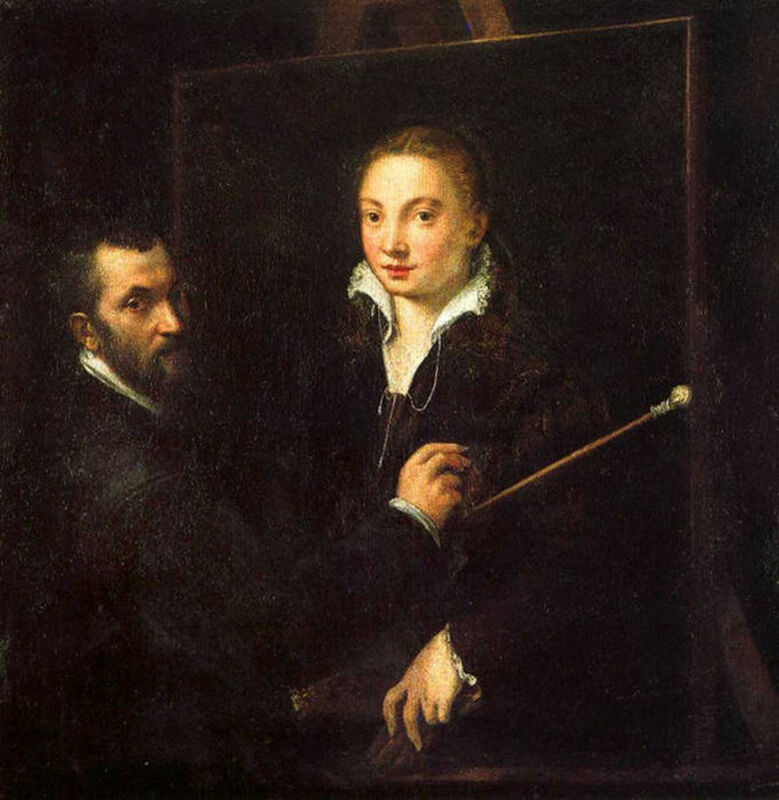 Vasari did not dedicated a life to her in his Lives (maybe also because she could not be considered a professional artist), but he remembered her at the end of the Life of Properzia de’ Rossi. When he talks of another aristocratic amateur painter (Lucrezia della Mirandola), he says: Sofonisba of Cremona, the daughter of Messer Amilcaro Anguisciuola, has laboured at the difficulties of design with greater study and better grace than any other woman of our time, and she has not only succeeded in drawing, colouring, and copying from nature, and in making excellent copies of works by other hands, but has also executed by herself alone some very choice and beautiful works of painting…” Sofonisba was not an isolated case in her family. Two of her sisters, Elena and Lucia, were devoted to painting and another one, Minerva, was keen in poetry. This testifies the ideals of humanistic culture that nourished a noble family in a provincial town of Northern Italy in the XVI Century and allowed a daughter of this to be called to the court of Spain. The Anguissola have origin from the villages of Pigazzano and Gazzola. In that places, in the territory of Piacenza, nearby the banks of the river Trebbia, a bloody battle took place between Carthaginians and Romans in the II Century b.C. (the battle of the Trebbia). Some names recurrent in the family, such as Annibale, Amilcare, Asdrubale, recall that event. Sofonisba (II Century b.C.) 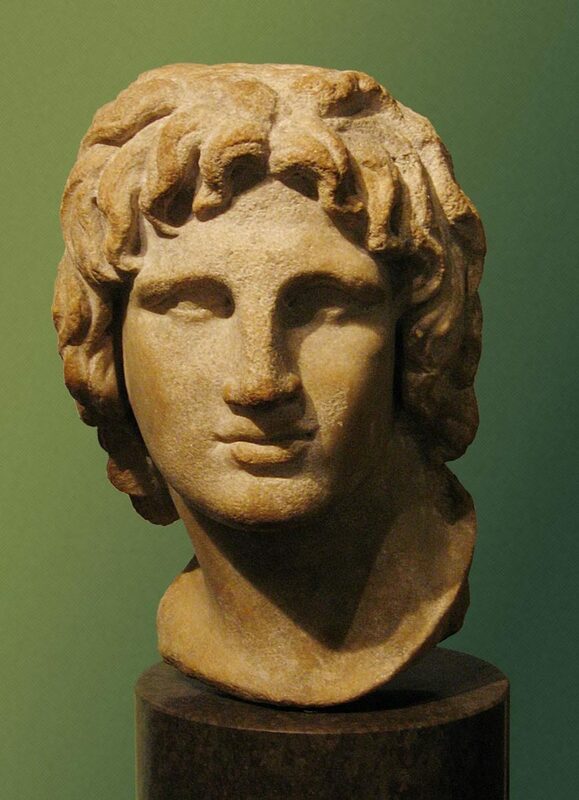 was a courageous and unlucky Carthaginian princess. 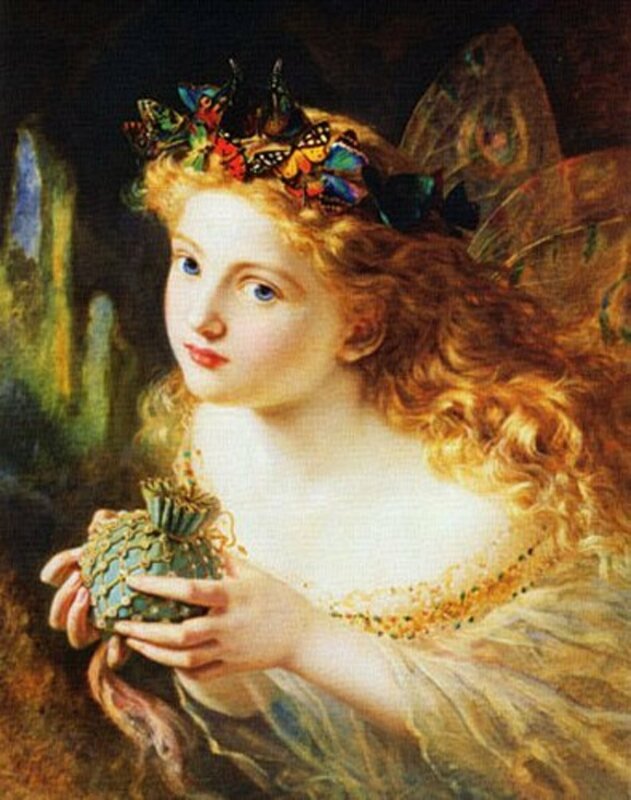 Sofonisba was born in Cremona around 1531, first of seven children (six girls and one boy: Sofonisba, Elena, Lucia, Minerva, Europa, Asdrubale, Anna Maria). Cremona is a small town in Lombardy, lying on the left bank of the river Po. 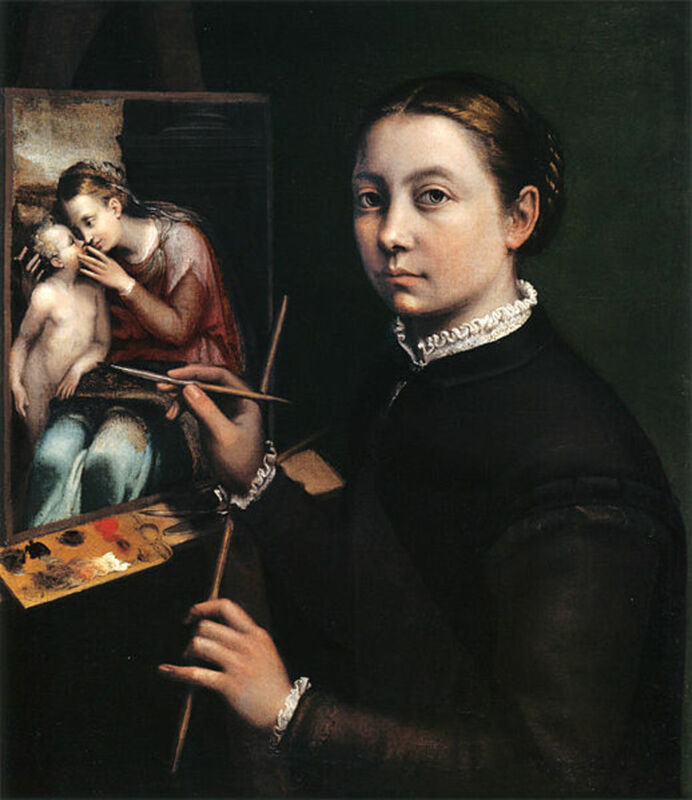 The Anguissola was a family of ancient nobility but with limited economic resources. 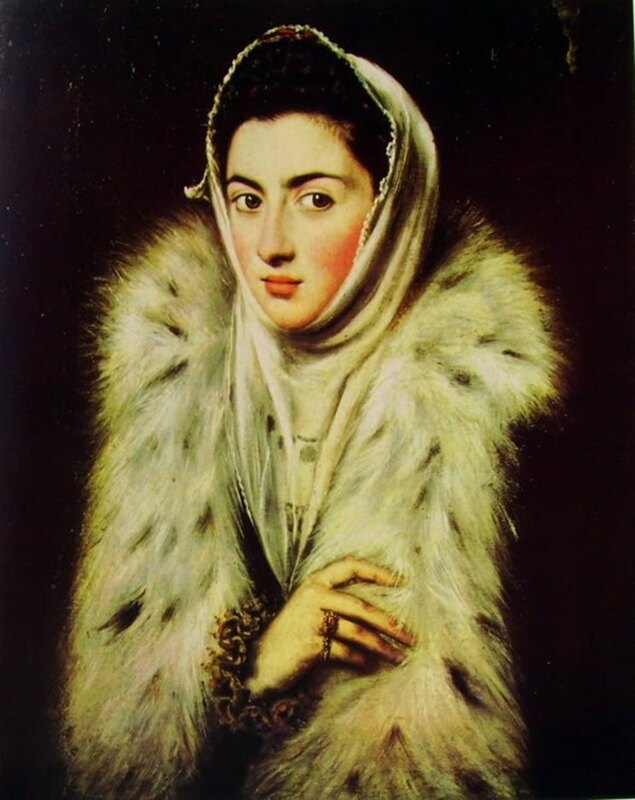 Sofonisba’s father, Amilcare, had married Bianca Ponzoni, from one of the most important families in Cremona, but they had nothing but the house and the garden where they lived with the trusted servant Giovanna, who appears in some of the familiar portraits of Sofonisba. Amilcare had the office of vestryman, i.e. he belonged to the group of citizens charged to contact the artists for the decoration of the cathedral and the other churches of the city. 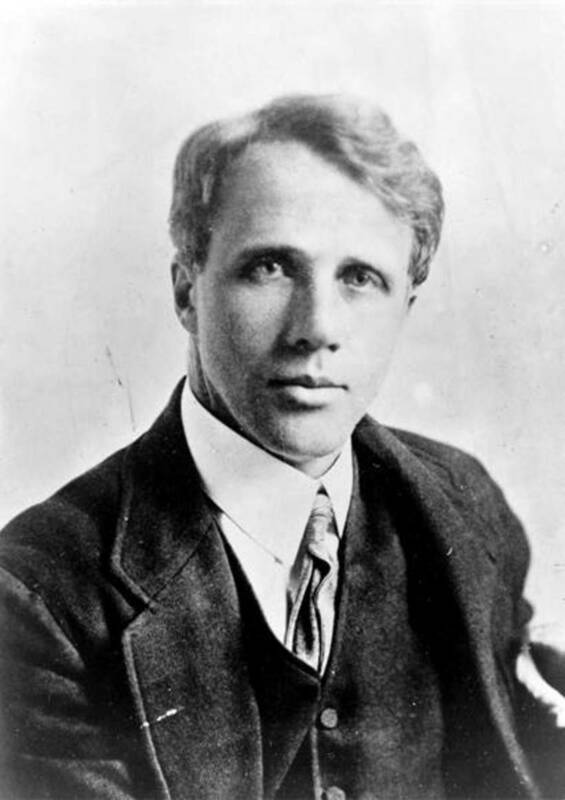 He was passionate of letters and arts and he was in touch with many painters, because of his office. So, when Sofonisba and her sister Elena show their aptitude for painting, he does not hesitate to send them to the workshop of Bernardino Campi, painter of the Lombard manner who had gained a good success in the art of portrait. At the shop of Campi, the two noble Anguissola received the lessons separately from the other pupils. Campi moved to Milan in 1550. He was substituted in the teaching of the young Anguissola sisters by another Bernardino, Gatti, coming from Parma and pupil of Correggio. Among the masters of Sofonisba it is also worth to mention the miniaturist Giulio Clovio (1498-1578), that Sofonisba had met in Piacenza at the castle of the Farnese. Clovio taught her the technique of miniature, which Sofonisba will use in some of her portraits. 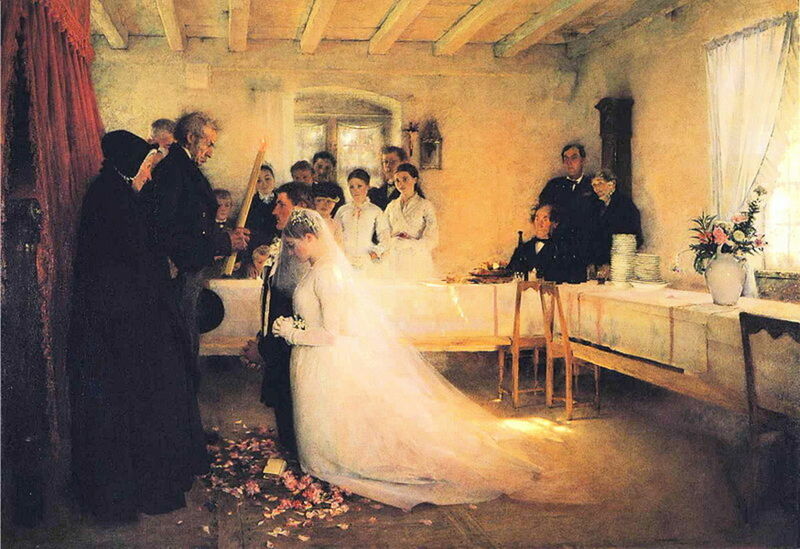 This is probably Sofonisba’s most famous painting. Her younger sisters are portrayed while playing chess in the home garden, the maid Giovanna appears discreet at the right border of the painting. It is the genuine image of a daily scene, revealed through the game of gazes. The older sister, Lucia, has eaten the queen to her opponent, the younger Minerva, and she looks proudly at Sofonisba, the eldest sister who is portraying the scene. Minerva, in her turn, gazes astonished at Lucia and the youngest, Europa, looks amused at her. On all, the watchful eye of the maid Giovanna from the edge of the scene. The mountain landscape, the same which appears in the family portrait, is imaginary because Cremona is far from any hill or mountain. This very original self portrait is the tribute of Sofonisba to his master Bernardino Campi. The idea to portray Bernardino Campi who in turn is portraying his pupil Sofonisba is innovative. 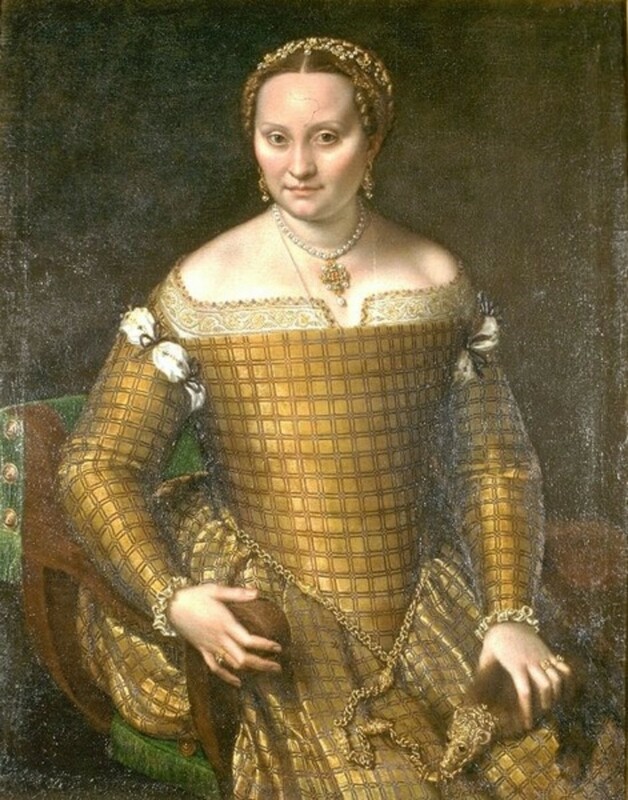 The painting may be dated 1550, the year in which Campi had to move to Milan and to leave the teaching of Sofonisba or perhaps 1559, when Sofonisba met Campi once again, during her stay in Milan before the travel to Spain. Sofonisba appears bigger and more central than her teacher. The centrality and the big size of Sofonisba may allude that now she feels “adult” enough to walk on her own legs and that the student is destined to surpass the teacher. Or perhaps, it may imply the general concept, which had to be dear also to her teacher, that the painter must always consider the subject more significant than himself. About this panel, a story is handed down which is worth to know. The father Amilcare had asked Michelangelo to judge a drawing of the daughter. Sofonisba had painted a child laughing at seeing an old woman who learns the alphabet. 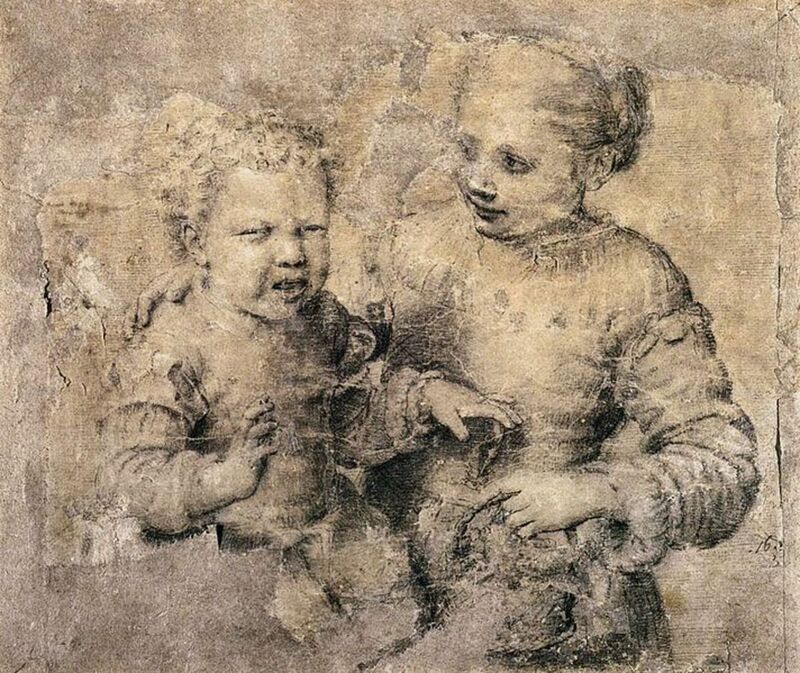 Michelangelo appreciated the drawing, but he asked Sofonisba to send him a crying child, because, he says, it is more difficult to portray the cry than the laugh (this is revelatory of the character…). Therefore, Sofonisba portrayed her little brother Asdrubale who cries, treacherously pinched by the sister Europa. She named the drawing: Child Bitten by a Crayfish. Michelangelo said that he himself could not have done better. Vasari included the drawing in his book of drawings and Caravaggio might have been inspired by it in his painting Boy Bitten by a Lizard. The father Amilcare was clever to manage the talent of his daughter. He used his relations to promote Sofonisba’s works, sending them as a gift to important people. She gained a wide reputation and her self-portraits became coveted. In a letter dated 1559, Annibal Caro, surely a man of culture of non secondary importance in his days, complains to be asked by the father Amilcare to give back the painting he had donated him before. “Since I had it, I do not understand why you want it back, if not for the poor estimation you have of me, and less of your word and honour…” Evidently, the production of Sofonisba was not able to keep up with demand. Her work is concentrated on self-portraits or portraits of her familiars, with some excursions in the sacred paintings. The news that will change her life arrive in 1559. Philip II of Spain has married Elisabeth of Valois, the daughter of the France King Henry II and Caterina de’ Medici. The Duke of Alba knows that Elisabeth is keen of painting and so he thinks of Sofonisba as the ideal companion for the Queen, able to help her to overcome the abandonment of her land. Sofonisba will be the lady in waiting of Elisabeth of Valois and her teacher of painting. At the end of the summer, Sofonisba leaves for Milano with all the family. She stays at the Governor’s palace in Milan for two months and then, in November, she leaves for Spain. Sofonisba, with the austere dress of a virtuous young woman, portraits herself while painting a religious subject. This is an original way to combine a religious theme with a self-portrait. Here the painter is bigger than the subject (otherwise than in the Portrait with Bernardino Campi) and occupies the main position in the painting. There is a curious contrast between the austere pose of Sofonisba and the free and affectionate gesture of the Madonna who kisses the child. The portrait of the father Amilcare tenderly keeping a hand on the shoulder of his son Asdrubale is a clear image of the familiar hierarchy: Asdrubale, proudly posing with the sword at his side, is the heir of Amilcare. As in the Chess Game, the plot of gazes is accurately studied. Asdrubale watches at the older sister Minerva, who returns the gaze, while the father is gazing towards Sofonisba. The painting was left unfinished because of the departure of Sofonisba to Spain. 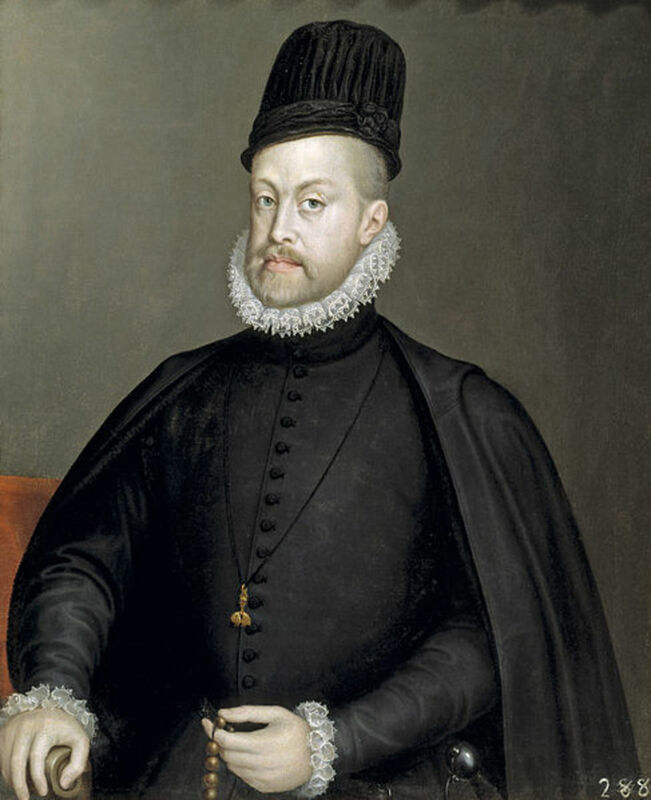 Philip II reigned in the period of Spain’s greatest power. He was aimed by a strong religious sentiment, which led him to combat the Protestantism to state the Catholic ideals, although this policy was fully unsuccessful in Holland and in England. This portrait, dated 1565, is the adaptation of a preceding painting, and was probably destined to pair with a portrait of the Philip’s fourth wife, Anne of Austria. Sofonisba has added a rosary in his hand, as a reference to the Feast of the Rosary instituted by pope Gregory XIII to commemorate the win in the Lepanto battle, but she has left unchanged the young face of the sovereign, to dissimulate the 22 years more than his wife. Sofonisba has lived at the court of Spain for a period of 13 years. There, she became a close friend of the Queen Elisabeth of Valois. The two women share the love for painting and for the humanistic culture. 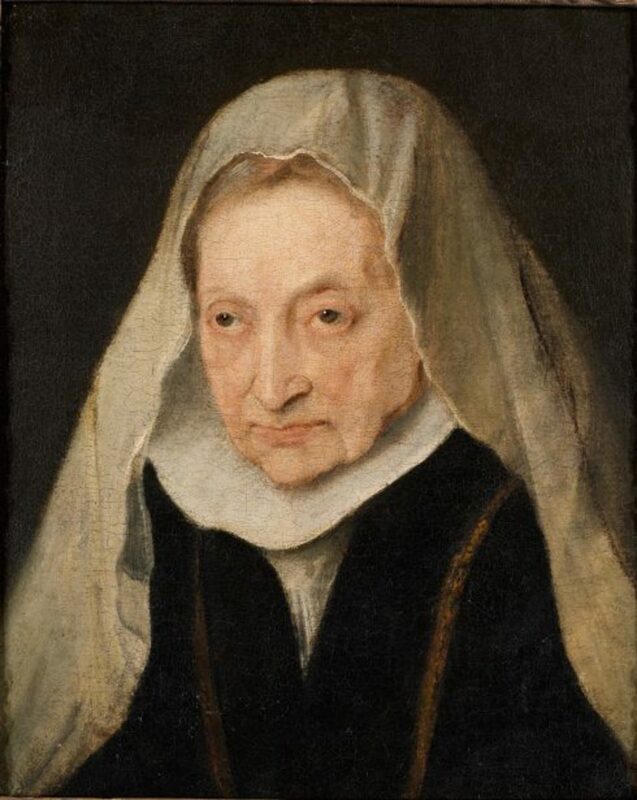 Sofonisba, who is more than ten years older than Elisabeth, is a kind of older sister of her, as well as her teacher of painting. She assists to the birth of the two Elisabeth’s daughters, Isabella Clara Eugenia and Catherine Michelle. At the court, Sofonisba works closely with the official portraitists Alonso Sanchez Coello and Juan Pantoja de la Cruz, so that some of her paintings have been attributed to them. Her effort is now to render the richly embroidered clothing of the royal family’s members and to infuse a vitality into their strict poses. In many cases this operation is successful. Don Carlos, the unlucky son of Philip, suffering psychic and physical pains, was so happy of the portrait by Sofonisba that he ordered dozens copies of it: only Coello is said to have done 13 copies. Elisabeth dies in 1568. Sofonisba has now to be close to the two children that she had seen born. Philip offers her to marry a Spanish knight and to remain at the court, but Sofonisba asks him to find an Italian husband for her. In 1573, she marries by proxy the noble Sicilian Fabrizio Moncada, who had met at the court, and then she leaves for Sicily. 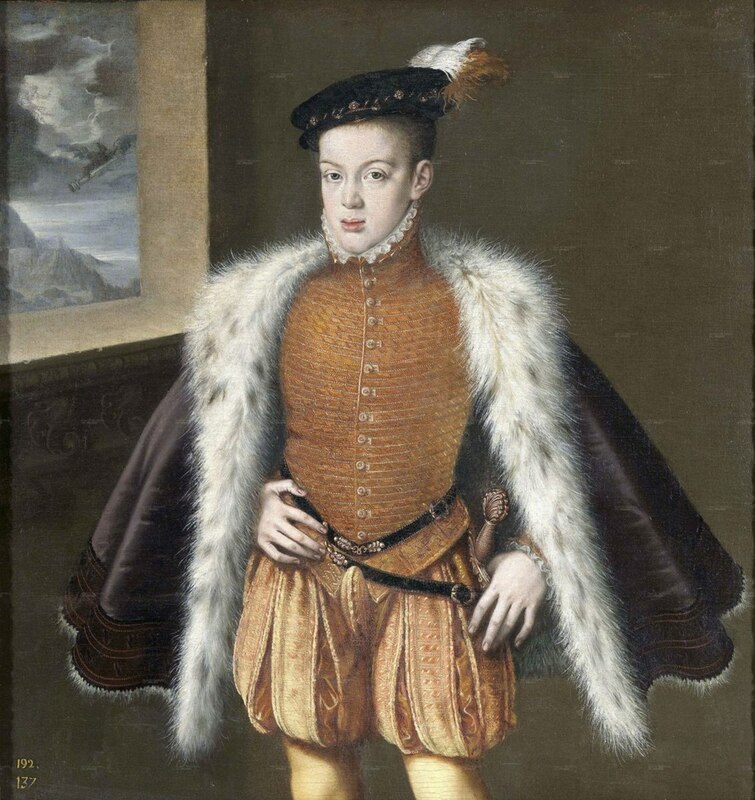 The eldest son of Philip II was hunchbacked and he had a shorter leg. 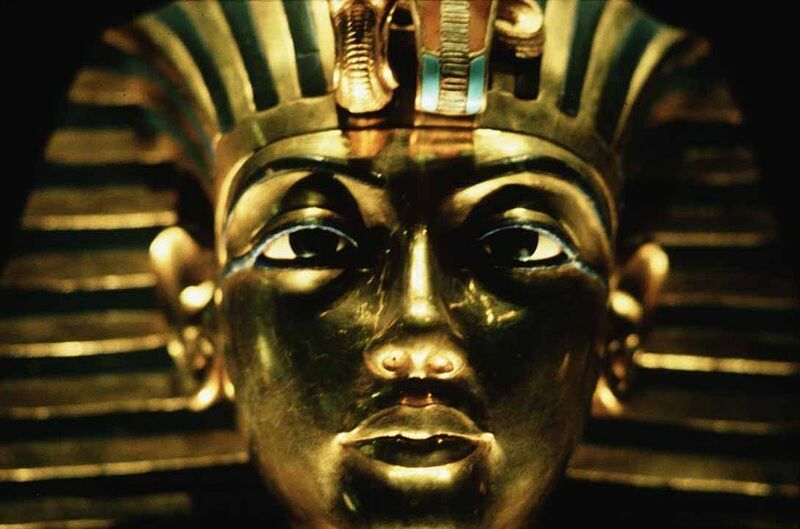 He was imprisoned by order of his father and died six months later, at the age of 23. Sofonisba has portrayed him in three quarters with a coat of lynx to hide his defects. Don Carlos loved this portrait so much that he ordered several copies of it. 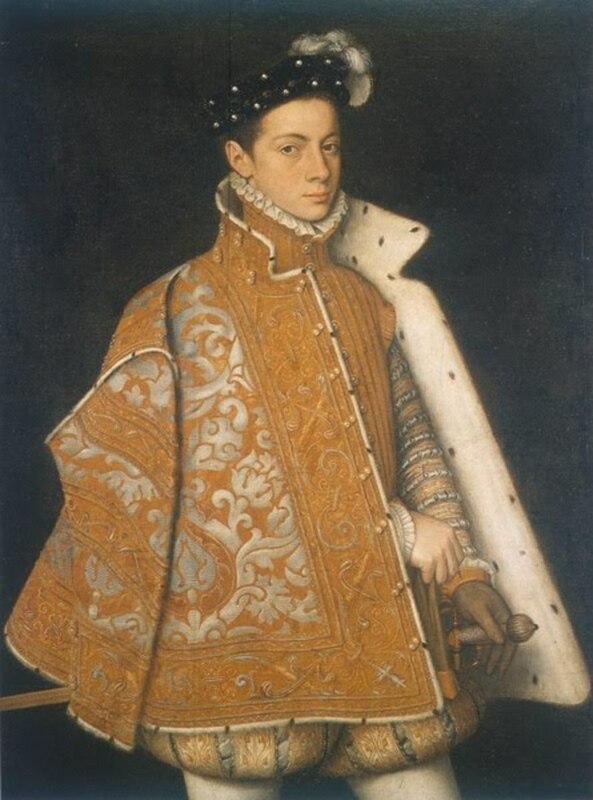 Alessandro Farnese (1545 – 1592), son of Ottavio Farnese and Margaret of Austria, Duke of Parma and Piacenza, was educated at the Spanish court. 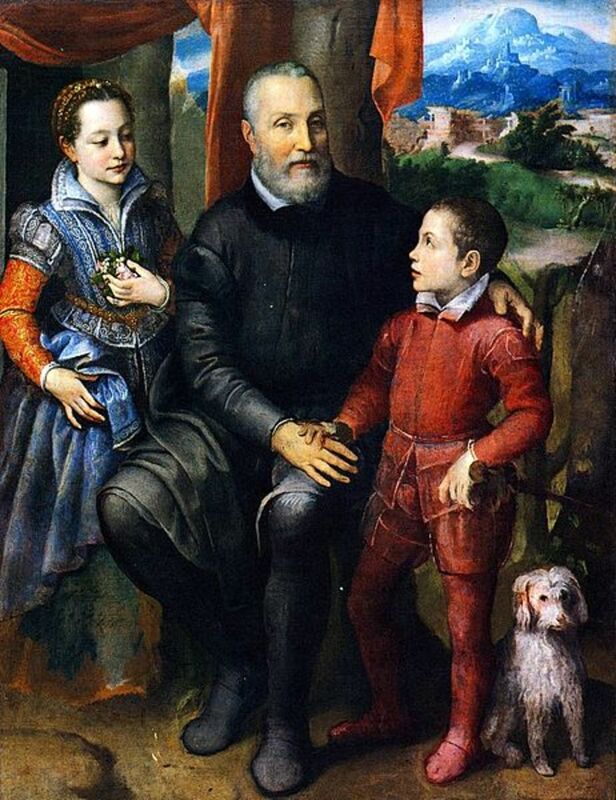 Between the families Anguissola and Farnese there was an old bitterness, because an ancestor of Sofonisba had headed the conspiracy which killed the Alexander’s grandfather. The beautiful portrait by Sofonisba underlines the strong character of the young Alexander, who will become a general of Philip II. After the marriage, Sofonisba and his husband settle in Paternò, near Catania, on the eastern coast of Sicily. Fabrizio Moncada belongs to a powerful and rich family of ancient Spanish origin. But Sofonisba is contrasted by the wife of Cesare, the older brother of Fabrizio, heir of the Moncada’s patrimony. In these years, Sofonisba has to face both the diffidence of the Moncada family and the economic hardship (this one a constant of all her life). Fabrizio embarks on a journey to Madrid in 1578. He wants to meet the King to denounce the plot of his sister in law to keep him away from the Monacada’s heritage, after the death of his brother Cesare. However, the pirates attack the ship near Naples and Fabrizio dies in mysterious circumstances. Philip II offers Sofonisba to return to court, but she does not want to leave Italy again. His brother Asdrubale reaches her in Sicily to take her back to Cremona. But evidently, she was not destined to return in her hometwon. The two embark in Palermo on a ship to Genoa. The captain of the ship is the Genoan Orazio Lomellini, a merchant that Sofonisba has already met during an earlier stay in Palermo with Fabrizio. It is love at first sight. Lomellini, very much younger than Sofonisba, is a natural son of Nicolò. His father belongs to a rich and enterprising family. The ship has to stop in the harbour of Livorno because of the bad weather. Lomellini takes Sofonisba and Asdrubale to Pise, because Livorno could not provide any accommodation. There, Lomellini and Sofonisba get married in a convent, the 24th of December, despite the contrary will of Asdrubale. In the spring of 1580, Orazio Lomellini and his wife arrive in Genoa. Under the rule of Andrea Doria, the city is experiencing its golden century. The richest families are moving from the old medieval quarters to a new zone named Strada Nuova, where magnificent new palaces are under construction. Architects, decorators, painters arrive from any part of Italy. The two spouses change home nearly every year, from a building to another, probably because the contracts of Orazio with his customers include the accommodation. Their home is frequented by several artists, who come to meet Sofonisba. They come to discuss the art of portrait and to ask for some advice about the right people to approach in Spain to have a part in the great works for the construction of the Escorial. 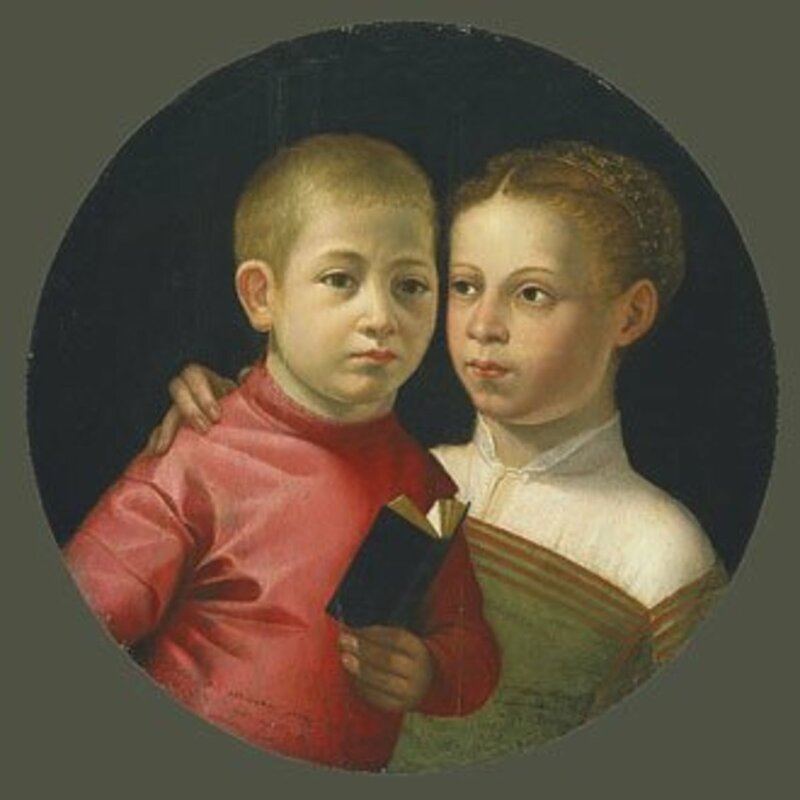 Among them, the young Francesco Piola, who comes to learn the technique of the miniature and that she will love like a son and Luca Cambiaso, a leading exponent of the Genoan mannerism. The documents (letters, inventories) attest that her activity in the Genoan period has been copious. It includes portraits to the members of the aristocratic families as well as some religious works. However, most of them are lost, and there are a very few testimonies of this long period. The portrait of the woman known as the Lady in a Fur Wrap, nowadays displayed at the Pollok House in Glascow, was found in Paris in 1800s, 300 years after it had been painted. The canvas was described as the “daughter of the Greek”. So it was attributed to the Spanish painter, of Greek origin, El Greco. However many scholars have noticed that this painting is very far from the peculiar, deforming style of El Greco. 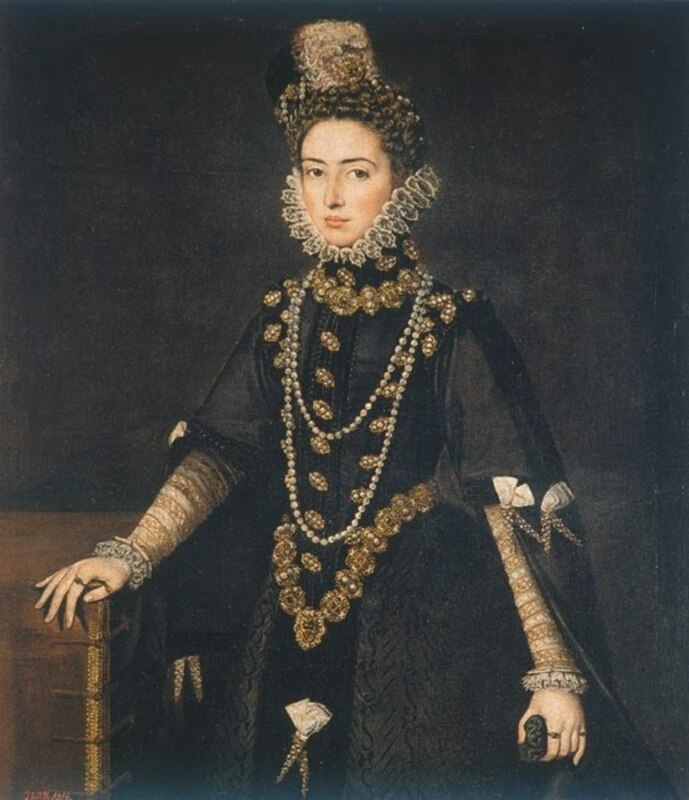 Some are convinced that the true author of the portrait might be Sofonisba and that it should be dated 1595, when she went from Genoa to Turin to meet the dear Catherine Michelle, the youngest daughter of Elisabeth, who had married Carlo Emanuele I, Duke of Savoy. On that occasion, Sofonisba made a portrait of the woman, richly dressed and a portrait of the daughter, Margaret of Savoy, with a dwarf. 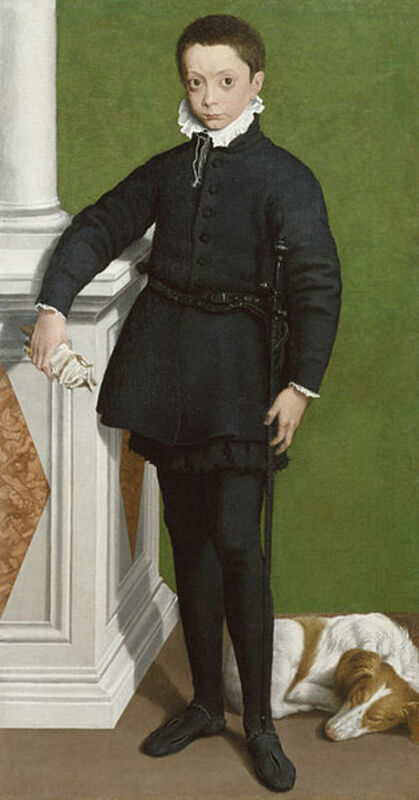 The portraits were destined to the Catherine’s father, Philip II. In the same days, she might have made the other portrait, where Catherine appears in a less formal clothing, wearing a coat of ermine (or lynx?) and a veil which reveals some jewels. In fact, the similarity between the women in the two paintings is impressing. Also, they are coiffed with the same hairstyle, in vogue in those days. With times, Sicily becomes the centre of the businesses of Orazio Lomellini. So, in 1615, he decides to move to Palermo. Sofonisba is more than 80 years old and has vision problems. Probably, the artist is not thrilled with the idea of a new travel, but she accepts the decision of Orazio. She returns to the land where she has lived difficult years with her first husband Fabrizio. They buy a palace in the quarter Seralcadij, of Arabic origin. Despite her troubles with eyes, Sofonisba continues to paint. In 1624, the new Viceroy of Sicily, Emanuele Filiberto of Savoy, a son of Catherine Michelle (died in 1597), calls the young Flemish artist Antony Van Dyck for a portrait. In the city there are the first signs of the plague which will kill 30,000 people, included the Viceroy himself. Van Dyck goes several times to Searalcadij to meet Sofonisba. He dedicates a portrait to the elderly artist and writes in his diary that he has learnt more from a talk with her than from all his earlier teachers. Sofonisba will die the following year, Orazio will survive 12 more years. Seven years after her death, Orazio puts a touching tombstone on her grave. Giulio, the natural son of Orazio, will give his daughter the name Sofonisba. Minerva, Asdrubale and Europa, the brother and two of the Sofonisba's sisters, are portraiyed in the intimacy of their home, in a painting that anticipates the nineteenth-century taste. I couldn't tell; your hub is very well-researched and thorough. Thank you, Massimo; I learned very much. Thanks to all who spent time in commenting on this hub. I am glad to have contributed a little to the knowledge of something new. I knew Sofonisba from the book of a doctor (not a scholar) in my same city, I think that her work and her life are a beautiful story that deserves to be known. Very interesting indeed. 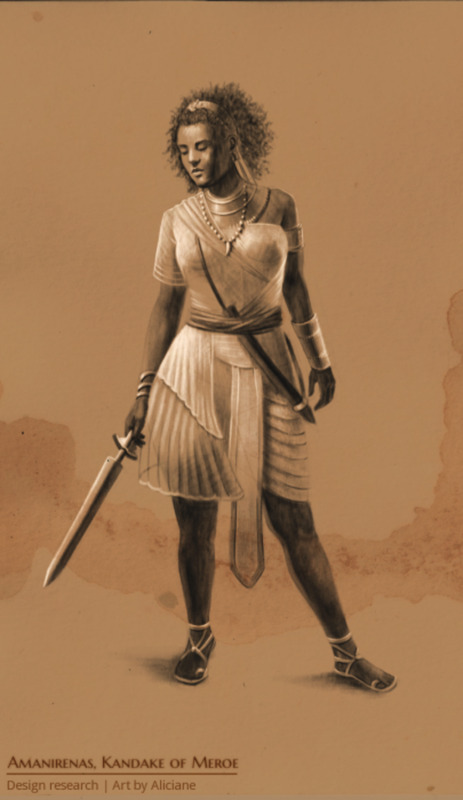 I knew nothing previously of Sofonisba, but you brought her biography to life for me; she was a remarkable woman - with an enlightened father. Your illustrations were magnificent too,. Congratulations. Congratulations on the Hub of the day! Quality content. Thanks for the info and great images. 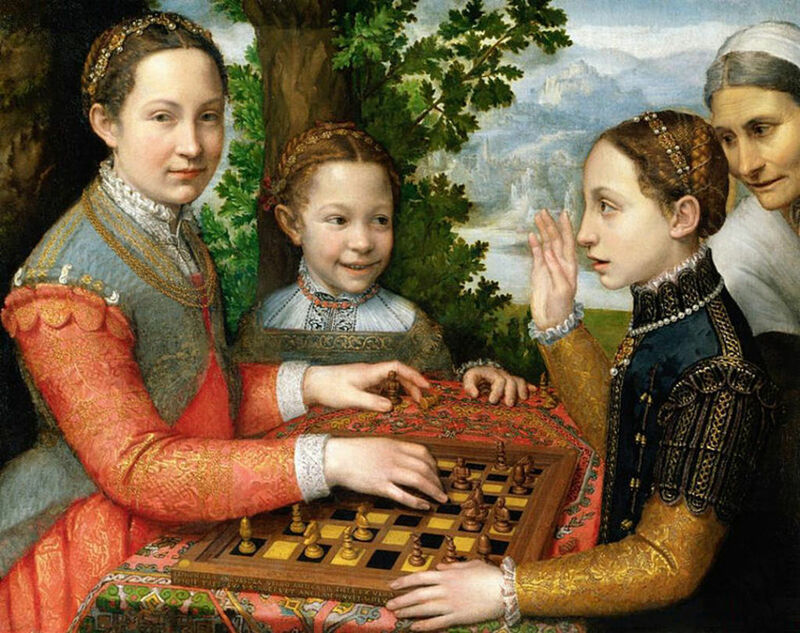 The "Chess Game" contains what appears to be the best child portrait from the Renaissance. The depiction of children was usually a little clumsy even in the Renaissance; Leonardo himself struggled with effectively depicting children. The portrait in the Chess Game is full of expression and accuracy. Congrats on hub of the day, I like how you did the layout of the pictures! What a beautiful and interesting hub! I never knew about this artist. Thanks for sharing and congrats on Hub of the Day! Congratulations on the HOTD! I have not heard about this very talented woman. The woman in a fur wrap painting came so popular to me and I was looking at the paintings in my wall and saw the painting of my husband. He had painted his own Lady Mystery painting. Thanks for sharing this very historical information. Wow! what a resourceful article! I never knew of this artist, her paintings are beautiful! Thanks for sharing! Voted up! Excellent article, mviola! I enjoyed this look back at the history of this talented woman artist. As an artist myself, I can appreciate the skill of this fine artist. I am grateful that Sofonisba's family recognized her talent and allowed her to pursue her art. It obviously was not common for women to engage in artistic expression at that time. Thank you for bringing this wonderful artist to our attention. Her work deserves recognition and enjoyment by a wider audience. Simply great... I really enjoyed this amazing combination of portraits and some historical facts too. Superb. What a beautiful homage. Congratulations. Your research shines like a beacon. First class.